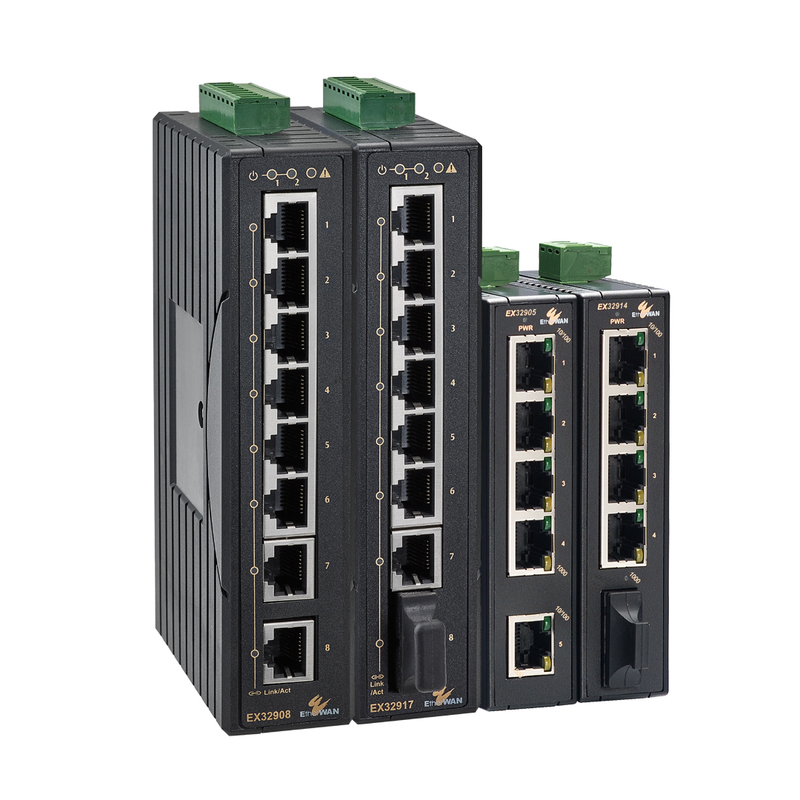 ﻿ Ethernet Switch – EtherWAN – EX72000 – KONČAR Elektronika i informatika d.d. 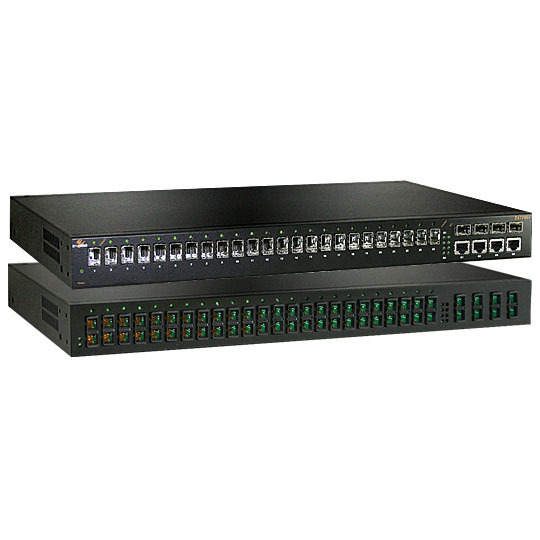 EtherWAN’s EX72000 Series provides a Hardened Fully Managed 14-port switching platform combining high performance switching backbone with robust and secure management features required for mission critical and harsh environments where sustained connectivity is crucial. 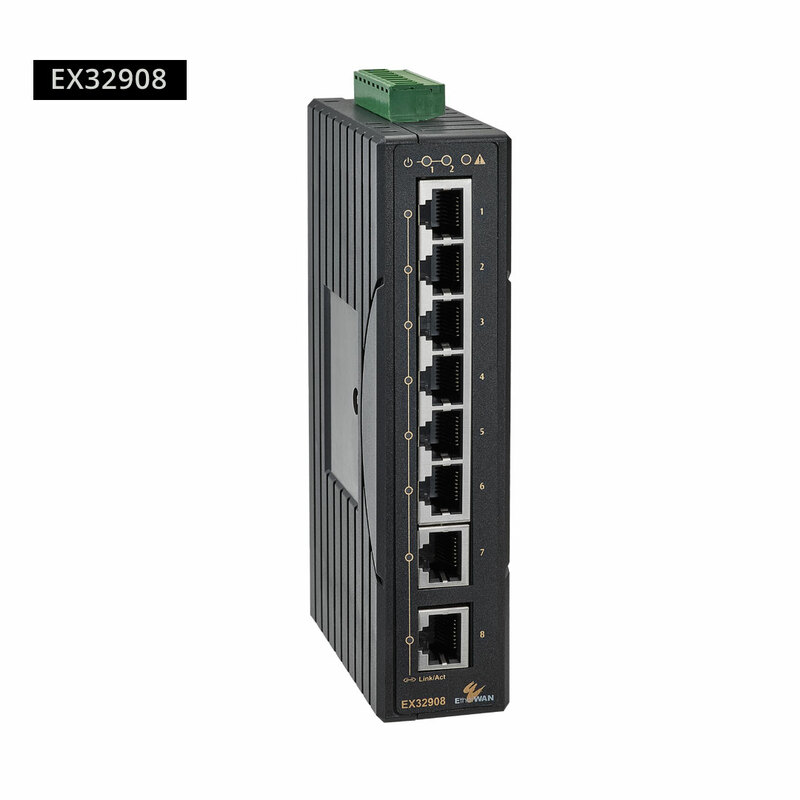 The EX72000 Series is equipped with eight to fourteen 10/100BASE Fast Ethernet ports, or in combination with up to Two Gigabit, Fixed Fiber, or SFP Combo port options. 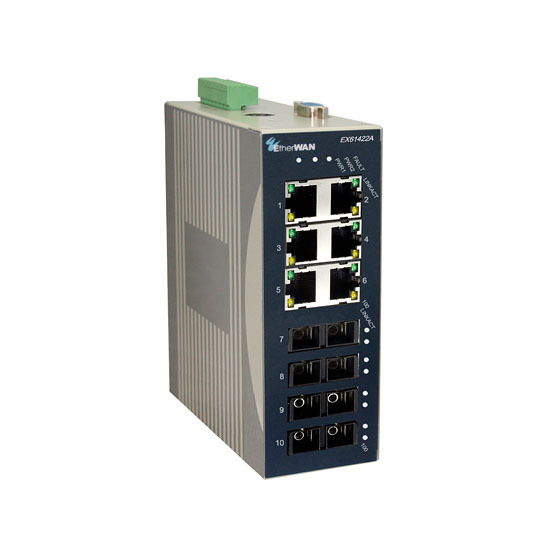 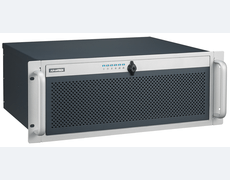 Panel mountable, the EX72000 Series is equipped with EtherWAN’s Alpha-Ring self-healing technology, providing less than 15ms fault recovery time making it ideal for applications intolerant to interruption. 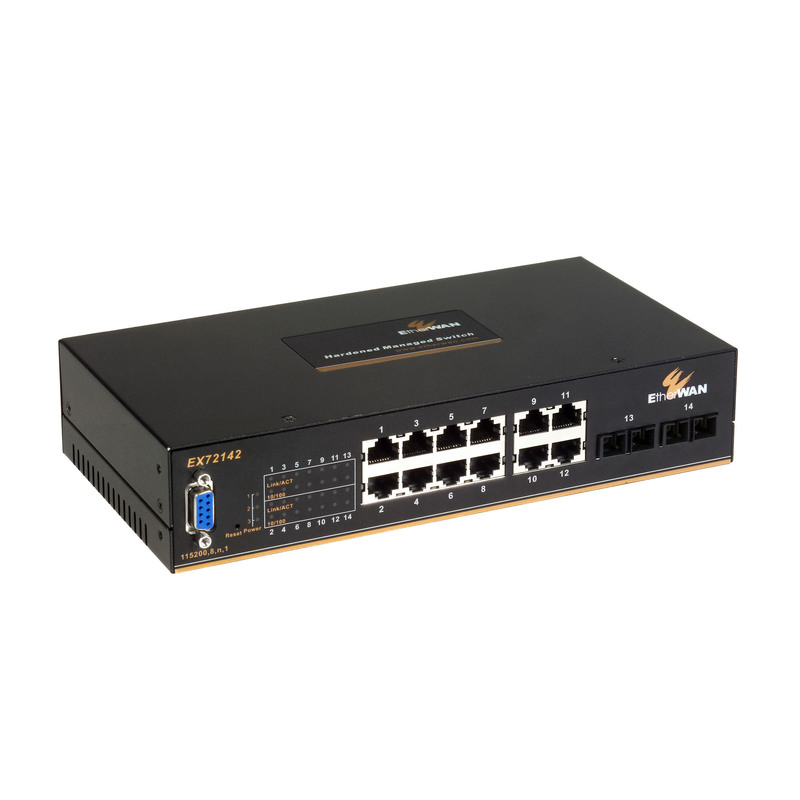 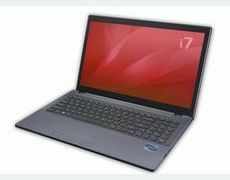 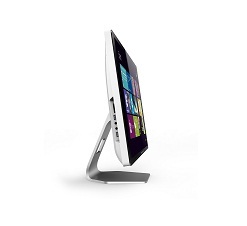 Users are able to access management features such as; port security, IGMP snooping, VLANs, GARP protocols, LACP, via web browser, Telnet, SNMP, RMON, TFTP, and RS-232 console interfaces.